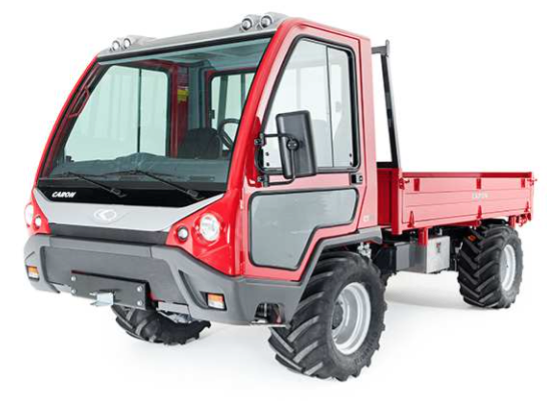 The Caron CT and CTK are the new range of heavier transporters with engines between 75 and 100hp, it is possible to carry loads of up to six tonnes and to fit 18″ wide flotation tyres, we have sold a number of these for mounting heavy specialist equipment where access is required to difficult areas. Prices start around £44,000. The 7” digital touch screen display provides all of the information for the proper use and maintenance of the vehicle. Front and rear axle without suspension. “Universal” chassis with quick connections system.